Skirt steak (or bavette as its known in France) is a flat, well marbled sheet of meat with a rope like taste and a delicate flavour. It is taken from the inner flank, just above the liver and kidneys. Ideal for marinating, bavette is at its best when cooked quickly and sliced across the grain. We've opted for a Tex Mex inspired, smokey chocolate and chilli rub that will be a sure fire hit at barbecues or in whatever fajita style creation takes your fancy. 1Mix all of the 'rub' ingredients together with half of the salt and spread on a large plate. 2Salt the skirt and brush with olive oil. Dunk both sides of the skirt in the rub and massage the rest of the spices into the meat. 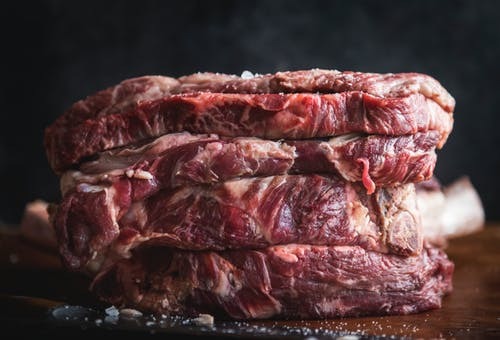 3Either put the skirt in the fridge overnight or leave at room temperature for at least an hour - whichever way, when you come to cook it, it needs to be at room temperature. 4Heat up your griddle pan, barbecue or grill and cook for about four minutes per side with another five minutes in the oven at approx 180°c. Wrap in foil to rest before cutting into strips to serve.